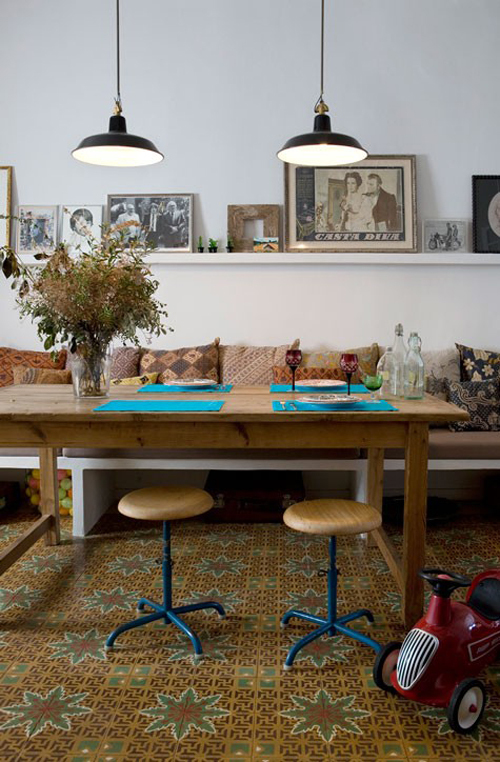 Today I’m loving … these beautiful floor tiles. LOVE this room and the tiles! At first glance I thought there was carpet on the floor! Such elaborate design reminds me of early California tiles from the 1920s&30s. Really gives a feeling of home. The room is so comfortable and inviting . Thank you Danielle for finding so many wonderful bits of art.